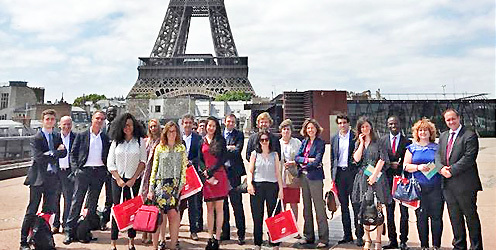 AGS and DS Avocats welcomed companies with similar interests in international mobility, on 23 June, at the magnificent Musée du Quai Branly – Jacques Chirac in Paris, France. For international stakeholders, the acceleration of the globalisation process means the search for competitiveness which can lead to expatriate talent management. AGS and DS Avocats suggested solutions to manage the complexity of international mobility. AGS shed light on the impact of geopolitical, social and technological developments on international mobility. We also mentioned the consequences related to the strengthening of flows to and from Africa and Asia, the increasing computerisation of global mobility management and a stronger link between mobility policy and talent management. Speaking on behalf of DS Avocats, Maître Chiara Poggi Ferrero, a lawyer at the Milan and Paris Bars, and Maître François Millet, a lawyer at the Paris Bar, deciphered the legal patterns of inbound/outbound mobility. As such, their experts explained in detail the specific requirements that weigh on the employer, including expatriate security and its obligations when the employee returns. The event included a tour of the museum and the discovery of the exhibition “L’Afrique des Routes”, which AGS sponsors. 43 years’ experience, expert in international removal and relocation, 4347 employees, 142 locations in 94 countries in Europe, Asia, Africa, the Middle-East and the Caribbean. 45 years of experience, 400 business lawyers, 26 offices in Europe, America, Asia and Africa.